We provide site surveys free of charge. Alton, Ampfield, Andover, Basingstoke, Bitterne, Bramshaw, Brockenhurst, Chineham, Curdridge, Durley, Eastleigh, Fareham, Farnborough, Gosport, Havant, Lee-On-Solent, Mansbridge, Petersfield, Romsey, Shirley, Stockbridge. Please provide as much relevant information as possible, in order for us to give you the most accurate quote. Applewood Joinery are committed to using sustainably sourced timber. 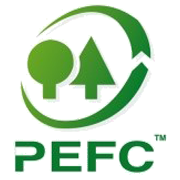 We operate ecologically and ethically to protect this value commodity, using timber that has a proven chain of custody. 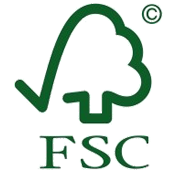 We only use timber certified by the FSC and PEFC – what does this mean for our customers? We can source the timber to origin and our customers can identify, purchase and use timber produced from well-managed forests. The customer can be assured that our timber is ethically sourced from forests that are managed according to environmental, social and economic criteria as agreed internationally. Certain that you are not damaging the world’s forests and that this truly renewable resource will continue. Reducing the damaging chemicals that are released into the atmosphere due to production and disposal of other window frame materials. Servicing an increasing demand and differentiating yourself from those who do not. Demonstrating environmental, social and economic responsibility on your part, not least through a willingness to work alongside those in timber production, distribution and manufacture. Help fulfil corporate social responsibility policies.